04262014_Election_Becherer_001-copy-2: Global News Events: Global News Portfolio: New Orleans based Photojournalist covering the Deep South and beyond. HABBANIYAH, IRAQ. 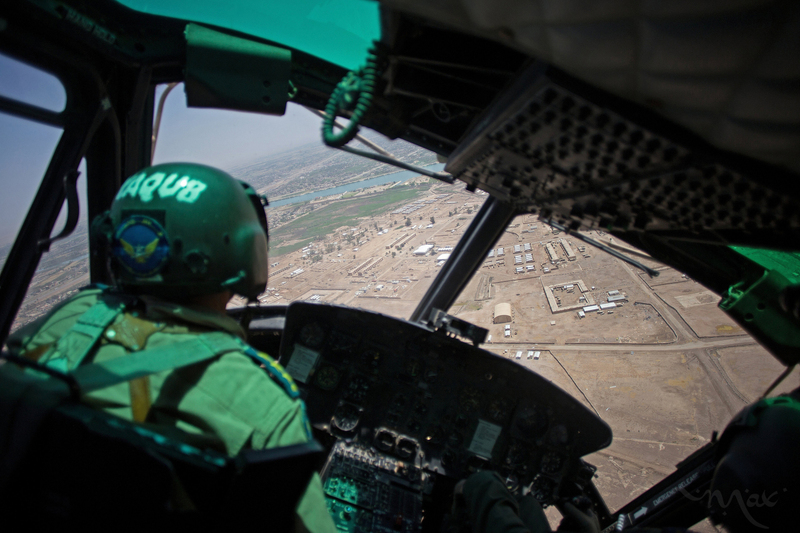 An Iraqi Army helicopter crew travels from Baghdad to Ramadi, Iraq in Anbar province arriving at Al Taqaddum Air Base on Tuesday, April 29, 2014. Iraq held a parliamentary election in spite of a worsening Sunni insurgency in Anbar province. Iraqi politicians failed to address the demands of the Sunni tribes who rose up again the Iraq military forces.